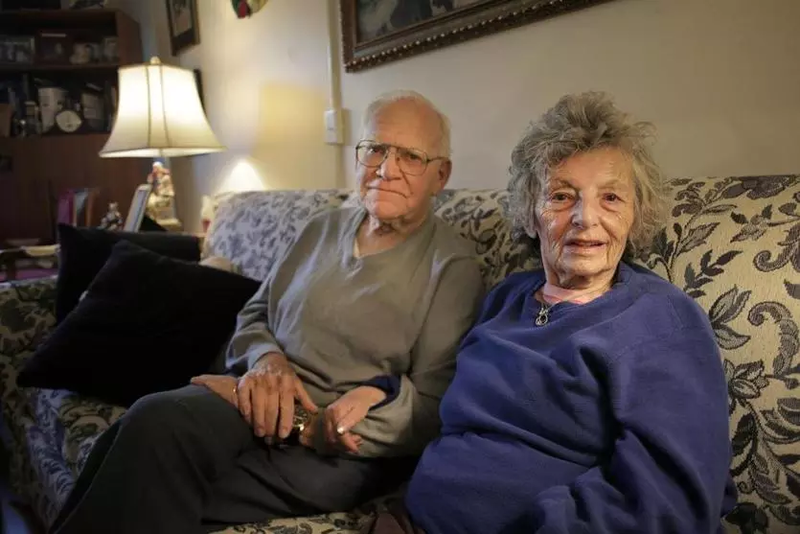 After the terminal had emptied and the ship was loaded with almost 2,500 passengers, Bernie and Dolly Wax, 85, remained behind, crestfallen and confused. Norwegian had three hours to find their luggage but could not. The form letter contained nothing about a refund of the $2,300 they had paid for the cruise they were now not taking. It said nothing about how to get their luggage back. Nothing about what they should do or where they should go except an 800-number. The Waxes looked around the pier and almost everyone was gone. The Waxes had planned and saved for more than a year to fly to LA and take a seven-day cruise down the Mexican coast. They had counted down the days to Dec. 22, when they would board a gleaming white vessel run by a reputable cruise line they had previously taken on enjoyable cruises out of Boston and New York. “This was to be our last trip together,” Wax would later write to Norwegian asking for a refund and citing the serious health considerations of a couple, both pushing 90, with four children, 10 grandchildren, and 12 great-grandchildren. The representative never asked for a driver’s license instead — which the cruise line’s own policy says can be an acceptable substitute for a passport. Cruise ship passengers are not required to have a passport to leave an American port if the destination is Mexico, Canada, the Caribbean, the Bahamas, or Bermuda, even if they go ashore on a day trip. After watching the ship leave port, Wax dialed the number for Norwegian customer service, as the form letter advised. He got a recording. The office had closed for the day and would not reopen until the day after Christmas. Kathleen Grasso works for the operator of the Los Angeles maritime terminal used by Norwegian and other cruise lines. Her job is lend a hand to anyone who needs it. When she came across the Waxes, “it broke my heart,” she said. Grasso said it is rare for guests to be left behind because luggage could not be found in time to retrieve passports. Weeks passed without Norwegian responding to Wax’s firm but polite request for a refund. Last week, I called and e-mailed Norwegian (which isn’t Norwegian at all; it is a publicly-traded company, incorporated in Bermuda, and headquartered in Miami). I attached copies of the form letter handed to Wax and Wax’s letter to Norwegian, and asked to discuss the matter. Norwegian did not respond, but within a couple hours of my inquiry, Wax received a letter from Norwegian, his first communication from the company in more than a month. There would be no refund, the company said, citing a clause in its terms and conditions that says guests are not entitled to a refund or credit when they are denied boarding for lack of proper documentation. “It would be inconsistent for us to make exceptions to our cancelation policies for some guests, when many others in similar situations have accepted these terms,” the letter said.